Cody Shelton has been a Special Olympics athlete for over 15 years competing in basketball, bowling, flag football, golf, and soccer. Cody will represent Oklahoma and the US in Unified bowling at the Special Olympics World Games Abu Dhabi 2019, which will be his first time ever participating during World Games. 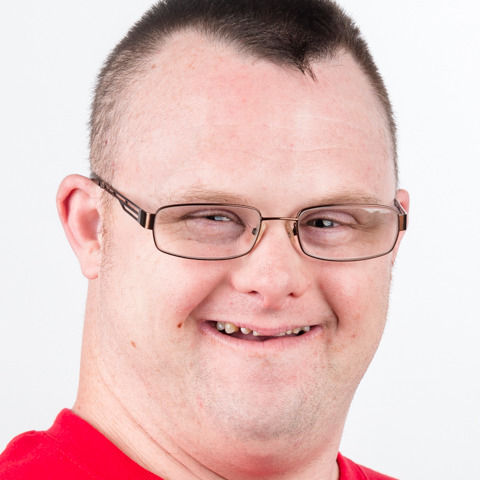 In the past, Cody competed in Unified bowling at the 2014 Special Olympics USA Games in New Jersey and the 2018 Special Olympics USA Games in Seattle. He's looking to build on his experience in Seattle with his Unified partner, David Francis, where they took home the bronze! Cody is currently employed at a local university (Oral Roberts University), working in the cafeteria services and has worked there for 12 years! In his free time, Cody enjoys dancing, listening to music and playing video games. He is a MASSIVE Oklahoma State University fan, and his bowling ball has the image of Pistol Pete, their mascot on it. He’s also a terrific dancer, loves country music, and has been a farm kid his whole life. His brother has competed in rodeos all over the USA, and Cody loves to have his brother or sister take him country dancing. Once the music starts, it takes a crow bar to get him off the floor. Cody says he is looking forward to competing with other athletes from all over the world at World Games.